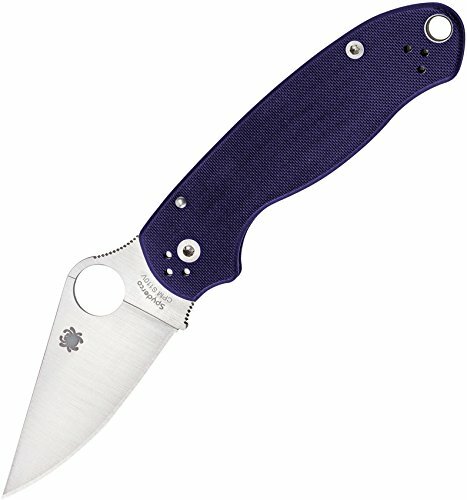 The Para 3 is a more compact version of Spyderco' s immensely popular Paramilitary 2. It features the same high-strength Compression Lock, textured G-10 scales, and a scaled-down, full-flat ground CPM-S110V blade. This is another solid design from Spyderco that's sure to please those who love the PM2, but prefer shorter blades or live in areas with blade-length restrictions. Premium CPM-S110V blade offers exceptional cutting power and edge retention. Ergonomic textured G-10 handle offers heightened comfort and grip strength. Four-position pocket clip and a lanyard hole provides numerous carry options.